Who me? Seventy? It can’t be. Yet being 70 is very different than it might have been in your grandmother’s time. My goal is to prove that you can live well at any age. For my 70th birthday I took a two week trip down the Colorado River through the Grand Canyon. My friends designed the cake you see on this site for my splendid birthday party. I hope to add many more adventures. These posts are intended to inspire and make you think. I hope you will add your wisdom as we all learn to become sages. Professionally I have been a teacher, investment adviser, real estate appraiser, sales executive for a top Fortune 100 company and I went to law school in my fifties. And yes, I am also a grandmother for the cutest smartest boy ever. 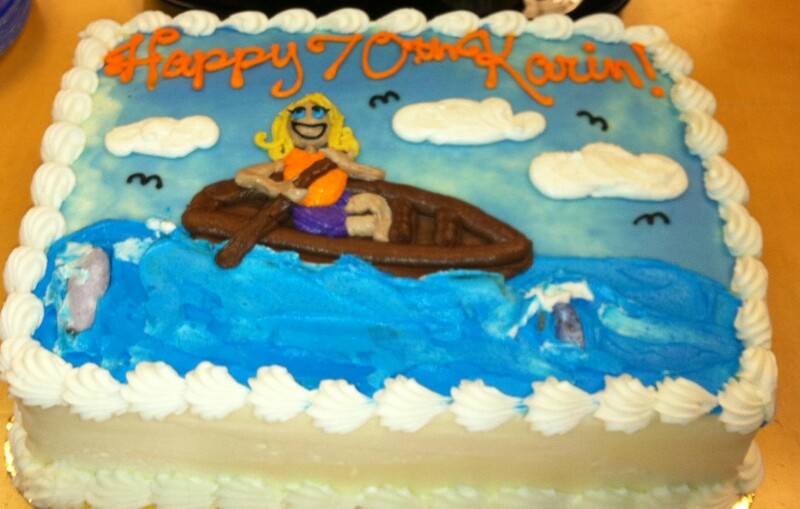 Hello Karin: The post regarding your 70th birthday caught my eye. It’s great to know that life continues to offer new friendships and thrills no matter how many years we’ve traveled this earth. Great site Karin! I truly love the way you write and look forward to reading more!